In a ‘not really unexpected’ move to see off the challenge from Norwegian et al, British Airways, Finnair, Iberia and American Airlines are launching ‘hand baggage only’ fares on transatlantic routes. These fares will be available from April. For American Airlines, British Airways and Iberia, these fares will be called Basic and on Finnair they will be called Light. These fares allow you to “personalise your journey”. That said, very little is actually changing. Where this is going to get confusing is with additional benefits for status passengers. As we know from the introduction of hand baggage only fares on short-haul routes, British Airways was forced to backtrack on not allowing free seat selection to Gold and Silver members of British Airways Executive Club. If you have a Gold or Silver status in Executive Club or oneworld equivalent, and fly BA, it is my expectation that you WILL still get free seat selection if you buy a Basic / Light ticket. You will NOT get a free checked bag even though one of the benefits of your status is ‘an additional free checked bag’. If you have status and fly American Airlines, Finnair or Iberia, it appears that you will get both free seat selection and 1-3 free checked bags. In which case, there is literally no difference to what you were buying before if you only check one case. When buying a Basic ticket, a Gold member should look to fly on American where they will receive three free checked suitcases. If you are Silver, AA will give you two cases, Finnair / Iberia one and BA nil. If you are Bronze or equivalent, AA, Finnair and Iberia will give you one free suitcase – BA will give you nothing. Status members will continue to receive fast track security, lounge access, priority boarding etc. This is, I think, a sensible move by the airlines. However, due to their unwillingness to go the whole hog and start charging for literally everything, the headline price gap with the upstart carriers will remain. With many travellers now accustomed to travelling without checked baggage, there is a risk to the airline that many people end up paying less overall. 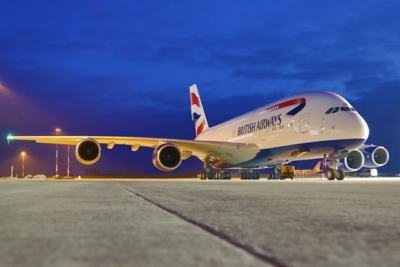 Further details are on the BA Travel Trade website here. The Lloyds Avios Rewards credit cards bite the dust (at least online) ..... what now? What is the best replacement for the UK Hilton Honors Platinum Visa credit card? I’d be fascinated to know what the airlines’ own research told them about the hand baggage-only market for transatlantic routes, on the assumption that what you pack for a weekend in Paris may be different to a week in Boston. Who knows? As you say Rob, makes sense from a marketing angle. Let’s hope complete unbundling of fares doesn’t come to BA, as it would likely only make total costs higher. Friend of mine who has BA GGL and a CCR card travels with hand baggage whenever he goes away, even if he’s going to the US for several weeks. I have not checked a bag on a solo trip for probably 15 years. Hotel laundry is great. Must say I’ve never used it – looking at the prices I’d only need to wash a couple of items and it would seem to be cheaper to pay for a checked bag! Probably about 8 years for me. My last trip was for 3 weeks on a paid F ticket and I still only took hand luggage. Our next one is for 5 weeks to Australia on another F ticket and I’m still only taking hand luggage. Less things to carry, less waiting at airports, less chance of things going missing, less overall hassle. Er, well yes hotel laundry is “great” if money is no object (or the company is paying). However for most of us it’s unaffordable. On a recent trip to BKK I took a bag of washing to a helpful local laundry outside the hotel where it was washed, ironed and ready the same evening. They charged by the kg and when I compared the price with what the hotel would have charged (I’m not exaggerating) it would have been some 20 times higher. Well Ian, Rob pays £250 per night for hotels so the cost of laundry is probably negligible. Us cheapskates have other tricks. Another tip is room service. I usually only manage to eat half the meal so I take a small plastic tub, put half the meal in there, bang it in the fridge and when I’m out next day pick up a bag of prepared salad and use the hotel’s microwave to heat it back up. @Cate, being a cheapskate I handwash all my clothes and do you think I would ever pay for room service??? We take the kitchen sink……. Yes have Aussie friends who come to Europe now with hand luggage only. This ‘credit card travel’ tends to be restricted to the wealthier classes IME. You can be sure British Airways will say ‘customers preferred it’. As much as this is caused by norweigan, realistically would the OW transatlantic group be doing this if the Skyteam group hadn’t already moved to unbundled? No, which is why it was just a matter of time. Also announced yesterday was that “Executive Club Members will be able to use their Avios to pay for and reserve seats in advance via Manage My Booking”.. This is a coming soon enhancement with no set timescale. However in light of the unbundling of fares I foresee options to pay for bags with avios in the near future too..
Whilst I appreciate you dont get many avios for LH ecomomy fares but as a Gold I would get significantly more on a Ba flight than I would on say an AA one. The mathematicians out there will not doubt be able to work out if its cheaper net net to fly BA and pay for a bag/seat/whatever and earn more miles than flying AA/IB and getting a “free” bag in the hold. No timescale was alluded too, just soon……. It’s interesting that was announced around the same time as this HBO initiative. If BA wanted to make all reward flights HBO now would seem like the perfect time. Devaluation whilst dressing it up as offering more choice to customers. I think BA should proceed with full “unbundling” as fast as they can. I’m sure we can get IAG’s profitability even higher! There was and still is I believe research going on to introduce one pilot cockpits and train one of the cabin crew to assist. If I’m travelling for less than a week to somewhere hot, I travel with hand luggage only. I have a fold up sports bag in case I buy anything and check it in on the way home. We are usually willing to pay a little more to get flight tickets of an “old” carrier which is paying its staff – hopefully – slightly higher wages than the ruinous low cost carriers. It’s sad to see that BA is flying in this direction because they can’t compete anyway with them. At least I would appreciate if they preserve some attitude, pride and service for a little higher price. Works for me, as both business & leisure traveler. Haven’t checked a bag for over 10 years and, as a result, developed both a sensibility about what you *really* need when away + an appreciation of the value of “treading lightly” as you travel this world. I never take a checked bag. Even when I went to Australia and New Zealand for 4 and a half months. When you’re travelling a lot having a checked bag becomes very annoying, packing and unpacking plus all the wasted time checking it in and waiting for it at the other end! Will they offer a discounted CW handbaggage only fare or only economy? What is the point of discounting a £3k CW fare by £20 if you have no bag? Same point as there is in Economy. Let’s unbundle the whole plane. First included. If they say this is to give us choice then let them give us real choice across the aircraft. Or is British Airways only thinking it is necessary to give choice to chavs and cheapskates in Economy? Let’s see how much the privileged classes welcome ‘choice’. ‘Four and a half months’ – the time period doesn’t really matter. I can survive off one bag for months on end if I have access to a launderette or throw away clothes. But I’m not doing that on a ten day holiday. Also: what about the overhead bins? Or are you one of these people that boasts they only need one bag, but are one of the ‘problem people’ who can never find anywhere to put their carry-on?!?! At last some one sensible! Like I’m going to spend my holiday doing washing…and no I’m not spending £20 having a t-shirt washed either. I’ve just spent 16 days on a tour of New Zealand where we were no-where for more than 2 nights at a time and in most places for only one, and often arrived after 7pm and were leaving by 9 am the next morning. I took a checked bag but one of the group had travelled hand baggage only. She got to the stage where she was complaining that her clothes actually smelt and was wearing swimming togs for underwear, because she simply couldn’t do laundry often enough during the trip. Sounds like another reason people will shy away from BA on long haul, not a full service product and never knowing really what’s included in a headline price, rather than a reason that’s going to make BA more appealing. Very rarely check a bag anyway so as long as I still get benefits of status and there’s no effect regarding Avios and TP earnings, it won’t bother me. If I can save say £30 on a fare, that’s money in my pocket although BA would have had that from me on a normal fare when I had chosen hand luggage anyway, so they’ll lose out in that case. I can see why they’re doing it with Norwegian charging say £199 for a basic fare and BA a bit more for the same thing. Getting food included may sway people who would rather not pay another £20-£30 each way for a meal on DY on top of the other extras. Knowing BA though, they’ll either retract that food at some point in the foreseeable future and/or go BoB. There was some chatter a few months ago internally about LH BoB but not heard anything since. Generally it seems the airlines are doing this so that in Skyscanner searches, their airfares will come up competitively with the likes of Norwegian and so on. Aer Lingus did it first for that very reason. It’s just making sure the game is equal as a fare comparison site shows the fare total only, not whether that fare includes or doesn’t include a bag, so the AA, BA, AY and IBs of the world were showing up as more expensive all the time. Absolutely correct. It’s so that legacy airline’s fares get bumped to the top of the search. Isn’t this going to just be an excuse for BA to increase prices for flights with checked baggage? I’d love to be able to pack light but it’s just not feasible for a 2 – 3 week trip with children and an OH who scuba dives! I pack loads of stuff and would never survive on hand baggage only. When I am on holiday I don’t want to think about cooking, washing and ironing! I take plenty of clothes so I don’t have to! Is there any advantage to booking a flight through AMEX Travel rather than direct with the airline if the price is the same? I think I read that some US cardholders get extra MR points but I don’t think this applies here? If you pay with Amex PRGC you get 3 MR points per £1. More importantly, you can’t take advantage of things like BA’s free cancellation within 24 hours, and Amex Travel has its own fees such as £20 for changes in addition to the airline’s fees. BA and LH group airlines charge a GDS fee of £8 per journey which is £16 on a return, which is just factored into the fare you pay with any travel agent. And BA HBO fares aren’t available except directly from BA anyway. So only use Amex Travel when you are certain you won’t need to cancel or change. One reason to use Amex Travel is for booking ex-EU trips so you can pay in GBP at the IATA exchange rate. You’ll have to pay the £8 or £16 GDS fee, but the extra MR points and avoiding the Amex 3% forex fee will make up for it. This is so irritating for those of us who never check luggage, on the A380 upper deck there’s hardly enough space in the lockers as it is. It would make so much more sense to make it that you can check a bag, for free, but at the maximum dimensions of the cabin bag size, which seems to be the unofficial offer you get on most BA short haul flights these days anyway “your flight is full, you are invited to check your hand luggage”. The radical change that these airlines could make to compete with Norwegian would be to allow you to book flights as one ways in my opinion. Maybe but they’re hardly competitive at say £1800 in Y on BA and £200 on DY. Even if you go one way cheaply to say the US, it costs loads to get back, even with redemptions so most of the time you’re better off buying the cheap return and then throwing it away if need be. Yeah that was my point. Probably the number 1 reason I look at Norwegian is to use in conjunction with miles redemptions. Can book one way with miles and pay cash to Norwegian to get back home. Booking open jaws on the BA site is possible but very hit and miss when it comes to getting the cheapest fares. The frustrating thing about Norwegian is the pricing of the extras. I’d happily pay the seat selection fee of £25 to avoid the risk of sitting in the middle and exit rows don’t cost any more, the £25 for the food and drink would depend on the route and I’m not really interested in the checked luggage. Can pay £50 for all 3 but add £100 on return and it’s more expensive than BA, AA, Virgin, etc. Great comments, I hate checked mini case luggage, they take too much space so people ram them in & I find this dangerous, I cannot see a desperate reason for not waiting for luggage to come off the plane unless perhaps you have another flight to catch & are on a tight timetable or any medication you need to take. Although I have a friend who takes her contact lens solutions which she needs but does she really to put it in such large hand luggage? We always fly CW so it’s not as if she hasn’t the weight. She does not take enough that she need a case a bag would suffice. I have loads of medication to take & obviously don’t put in hold incase my case gets lost but I use a small bag. It also delays flights by people trying to put in overhead lockers, surely cheaper for airline to take off on time? Personally, I take hand luggage as I don’t want to extend my journey at the destination any more than I have to. At JFK for example, I can be on the air train or in a cab 10 minutes after leaving the plane. Make that anything up to an hour or so if I have to collect bags. If I arrive late in the evening, I want to get to my hotel and not be playing the waiting game at a carousel. I suppose having status to get the pick of overhead space first helps and so does Global Entry to skip 25+ minutes extra for immigration, so I’m maybe biased here. Things like half hourly shuttle buses can be problematic. Out the door and you may catch it. A wait for bags, and you could miss it by a minute so more waiting. That said, I have had times where people have strolled up 35 mins after me and caught the same bus. I don’t recognise the 25 minute plus waits at US entry points. My last 5 or 6 trips, have all been utterly painless getting through immigration using their fab machines in less than 10 mins. Even with family in tow. Now coming back to little old brexit britain is an altogether different matter with huge queues, half to three quarters of machines not working (saturday 17th Feb 19.00 T5 LHR) and those charmless individuals who man the UK Border…horrible experience.